Prior to going on the EPI 743 clinical trial with Dr. Bruce Cohen, Abby was unable to grasp objects, like the reflex hammer, or push herself in her wheelchair. Now, 4 years later, Abby is going to school and competing in her second triathlon with her dad. 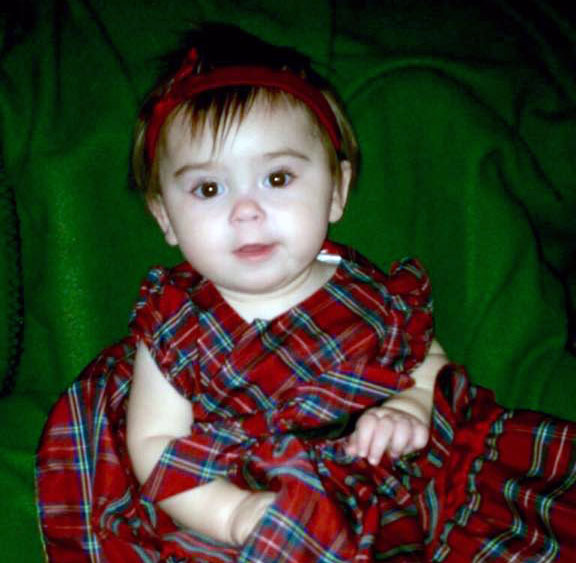 From day 1, Abigail “Abby” MacCurtain had 2 distinct features – a bright smile and noisy breathing. 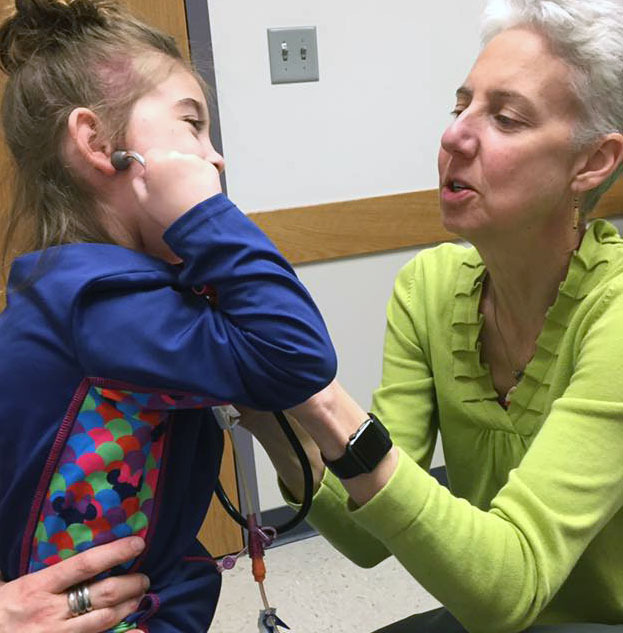 While her trademark smile brought joy, her noisy breathing took her on a medical journey that, ultimately, brought her from Boston to the Rebecca D. Considine Research Institute at Akron Children’s Hospital. At the time, new parents Greg and Heidi were told Abby would outgrow her stridor (noisy breathing), feedings would improve and she would thrive, in time. But, by 6 months old, she was only getting worse. Her feedings weren’t improving; she was constantly spiking fevers; and, she wasn’t achieving infant milestones. Ongoing visits with her specialists and pediatrician in Boston weren’t providing an explanation for her symptoms and ‘time’ certainly wasn’t helping. At 9 months old and still without a diagnosis, Abby’s neurologist suggested she have an MRI. 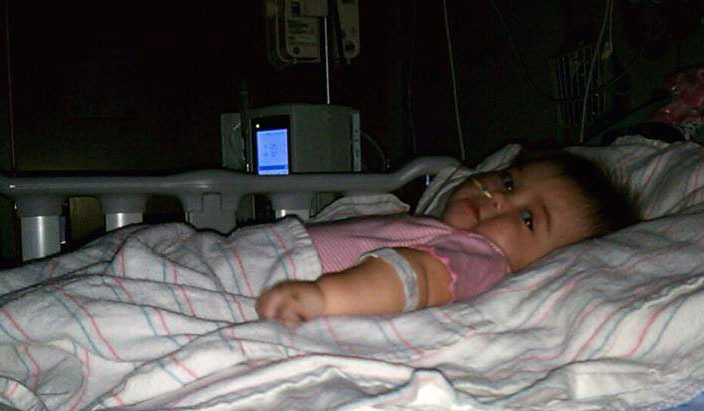 As the family waited for an appointment to become available, Abby suffered repeat pneumonias and needed a g-tube (gastrostomy tube) placed to give her body time to rest. While at the hospital for the g-tube surgery, an inpatient MRI appointment became available. The MRI revealed Abby had lesions on her brain, which led physicians to check her lactic acid level. The lesions, along with the elevated lactate level, indicated Abby had tissue damage due to disease. Finally, doctors were able to give the MacCurtains a clinical diagnosis for Abby. She had Leigh’s syndrome, a progressive neurometabolic disorder, and part of the mitchondrial family of diseases. Determined to get a solid care plan for Abby, her parents and grandpa assembled a new team of specialists – from neurology and gastrointestinal to social work – in the hopes a fresh perspective could get everyone on the same page to help Abby get home. The new team recommended genetic testing, as well as a muscle biopsy – to check for diseases involving muscle tissue – but both turned up nothing at the time. 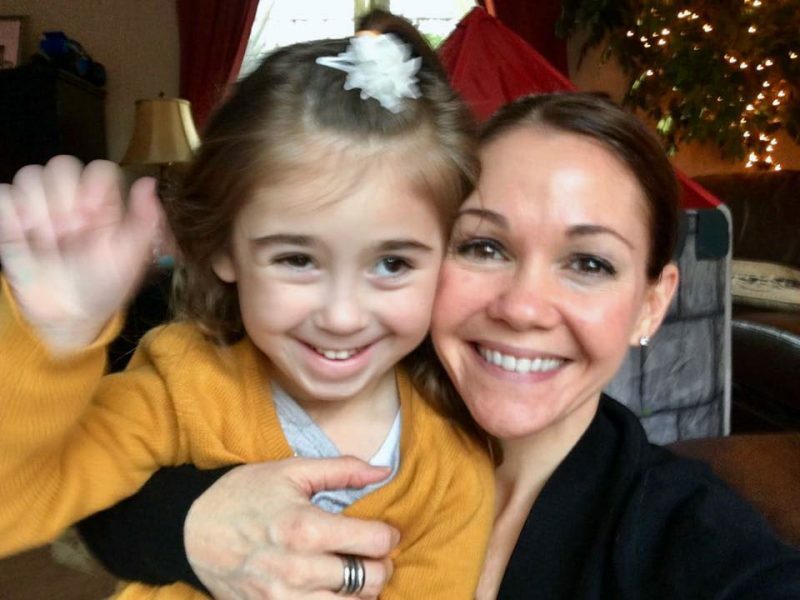 Frustrated by more unanswered questions, Abby’s family began researching Leigh’s syndrome on their own to find people and medications that could help their daughter. 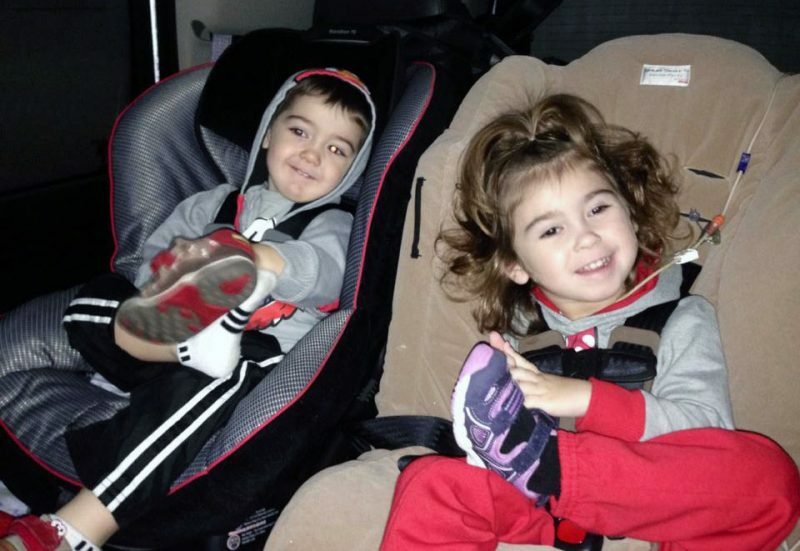 Abby and her brother Tomas on one of their first trips from Boston to Akron to see Dr. Cohen. The MacCurtains first trip to Akron 4 years ago didn’t disappoint. “You know a guy knows his stuff when he wears a bow tie to work. Dr. Cohen is passionate and knowledgeable and exactly what we needed…what Abby needed,” said Greg. At 2.5 years old, Abby was old enough to take part in a clinical trial for EPI 743, a medication not yet FDA-approved. Dr. Bruce Cohen, director of the NeuroDevelopmental Science Center at Akron Children’s Hospital and program director of the Center for Mitochondrial Medicine Research at the Rebecca D. Considine Research Institute, was the principal investigator for a trial using EPI 743, sponsored by BioElectron Technologies. Abby’s infectious smile rubs off on Dr. Cohen, too. Dr. Cohen met with the family to discuss Abby’s condition, her medical journey and the new medication. EPI 743 was in the early stages of safety testing so it had potential side effects. The rigorous protocol of the study would involve many visits to the hospital – once a month for the first year and then 4 times every year after – to document her progress or changes in health and ability. Pediatric Palliative Care Director Dr. Sarah Friebert helps Abby and her family, too. Abby loves to cuddle with her mom, Heidi. Today, Abby is going to school, competing in her second triathlon with the help of her dad and continues to be part of the clinical study. 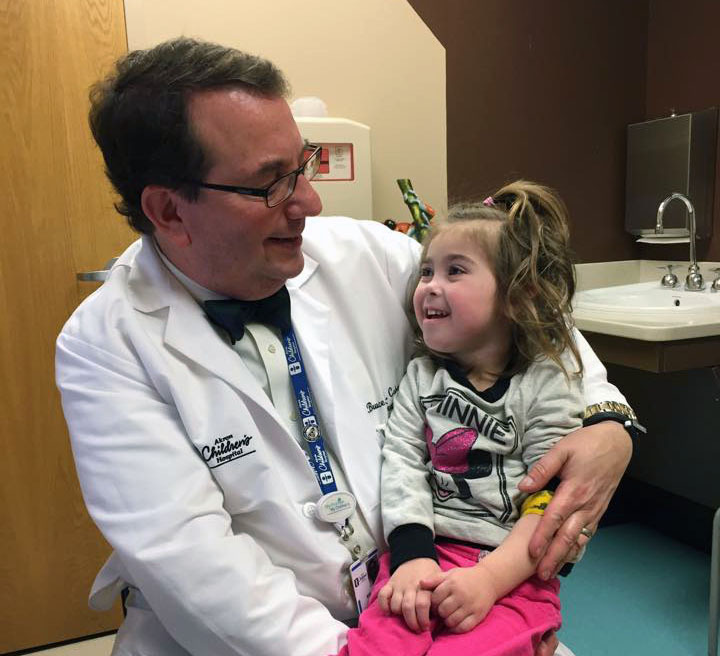 “Sure, we drive 600 miles for blood work and a half-hour neurology appointment, but having another set of eyes watching Abby and having access to Dr. Cohen who can help weigh in on really big health decisions makes it worth every mile,” said Greg. 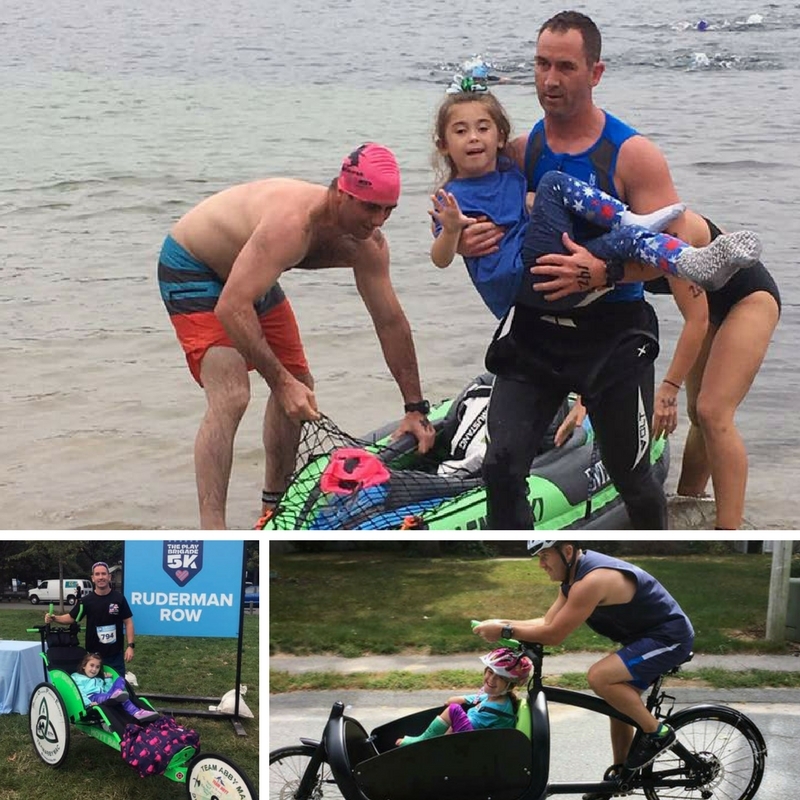 Abby and her dad Greg have competed in many races and are preparing for their second triathlon. While the experimental drug EPI 743 has provided better symptom management, it is not a cure for mitochondrial disease. 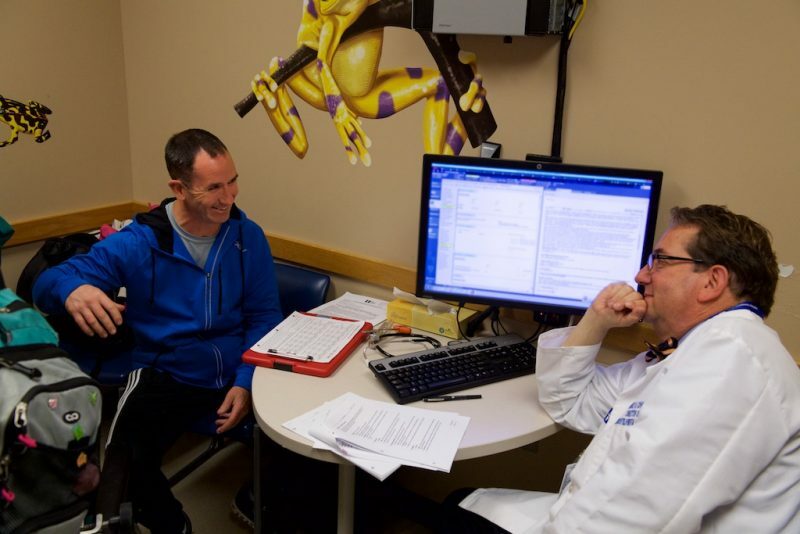 One of the reasons Dr. Cohen came to Akron Children’s in 2011 was the hospital’s commitment to helping him build an infrastructure for conducting clinical trials for mitochondrial patients. Akron Children’s is now 1 of 15 mitochondrial centers across America researching treatments through the North American Mitochondrial Disease Consortium. Dr. Cohen and Abby’s dad, Greg, discuss Abby’s progress while she’s on the experimental medication EPI 743. 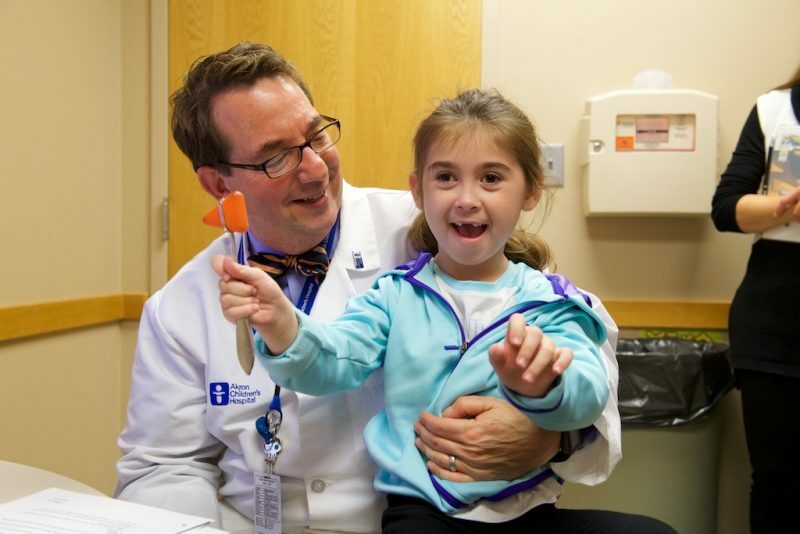 Additionally, Akron Children’s has more than 70 departments involved in research, more than 90 clinical trials underway, and nearly 800 other research studies in progress to help advance knowledge and improve lives.